Specimen 3x6 cm. Thin Natrolite with epitaxial overgrowth of Thomsonite. 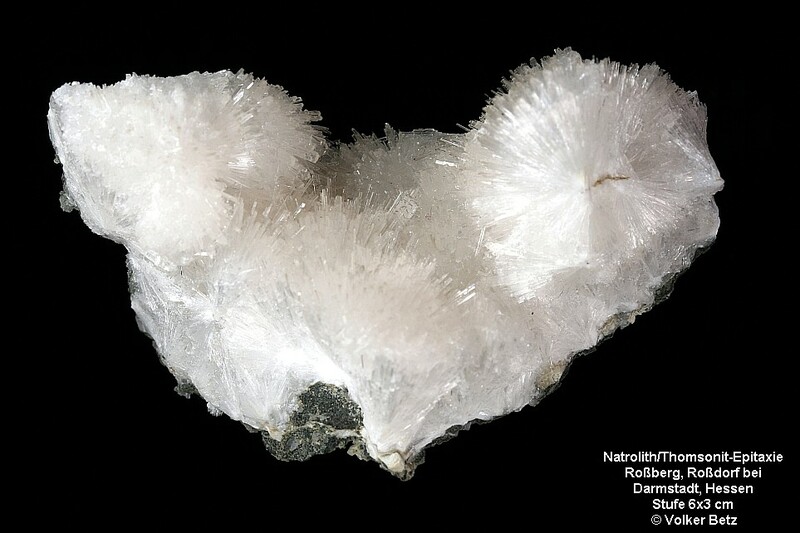 Natrolite is only present in the core of the crystals. Most likely from about 1969.